What is a traditional naturopath? Naturopathy and naturopathic medicine, is the fastest growing of all the alternative healing disciplines.As more people have become disillusioned with conventional health care, it has certainly gained new respect as a credible healing modality. But naturopaths really fall into two very different groups. Traditionally trained naturopaths (N.D.’s) use the naturopathy degree to consult with clients, and as an accreditation to teach, to write and to access research. A core belief of naturopathy is education—passing on knowledge to empower the client. A smaller number of naturopaths are trained medically (N.M.D.’s) with an education similar to that of a conventional M.D.. They have extensive hands-on coursework in anatomy, physiology, biochemistry, pathology, and other conventional disciplines. I work as a traditional naturopath, specializing in non-invasive, lifestyle consultation. A traditional naturopath avoids diagnosing disease or prescribing medication. The principles which guide traditional naturopathy lead to general improvement in health. Commonly, clients find that long standing health problems have improved or disappeared. In fact, the greatest success of naturopathy is in rebuilding health, which then naturally improves or eliminates chronic illness. Traditional naturopathy is not recommended for acute trauma, such as a serious automobile accident, a childbirth emergency, or orthopedic problems that need corrective surgery. It can contribute to faster recovery in these cases. Still, these situations are best suited for conventional medicine or medical doctors who also have a background in natural medicine. Conventional medicine without a doubt, really excels in emergency health care. Traditional naturopaths focus on the client as a whole. They look to the cause of a health concern rather than suppressing symptoms. The naturopath works to educate his or her clients in how to stimulate the body’s own vital healing forces. Although all naturopaths emphasize choices based on their own personal interests and experiences, they maintain a consistent philosophy. 1: Nature is a powerful healing force. The body has considerable power to heal itself. The role of the naturopath is to simply facilitate and enhance this process by educating the client in natural therapies, which stimulate his or her own internal healing force. Above all, the naturopath must do no harm. 2: The person is viewed as a whole. Understanding the client as a unique individual is essential. The naturopath will ask questions and strive to understand the complex interaction of physical, mental, emotional, spiritual and social factors affecting the client’s total health picture. 3: The goal is to identify and address the cause of the problem. Naturopathy does not attempt to suppress symptoms, since symptoms are seen as part of the body’s attempt to heal itself. A naturopath seeks to understand the underlying causes of a health concern, and helps to control or reduce symptoms through improved lifestyle choices. 4: The naturopath is a teacher. First and foremost, the naturopath educates, empowers and motivates the client to assume more responsibility for his own wellness through having a healthy attitude, lifestyle and diet. After determining the cause of a health concern, the naturopath discusses with the client the various natural options for creating a return to health. 5: Prevention is the best approach. Illness prevention is really best accomplished by lifestyle habits which support health. I feel we need both types of medicine to stay well in today’s world. In our high stress lifestyle, there may be times when we need to rely on modern medicine for fast symptom relief or to stabilize from a serious health crisis or injury. Still, this type of emergency medicine is no substitute for a sound, nutritious diet regular exercise and the remarkable ability of whole herbs to boost the body’s own natural healing response. I believe naturopathy is a premier healing choice to create a solid foundation on which to build lifelong health. Dr. Page's career as a leader in natural health and healing spans over three decades. She is a prolific author and educator. Her best-selling book, Healthy Healing, is used as a textbook at many higher educational institutions teaching natural health courses. She has also written other books including: Diets for Healthy Healing, Healthy Healing’s Detoxification and a popular series of library books which address specific healing therapies for topics like menopause, weight loss, sexuality, colds and flu and cancer. A master classical herbalist, she founded the herbal nutrition company Crystal Star in 1978 and she has formulated over 250 whole herb combinations. She received some of the first United States patents for herbal formulations for her women’s hormone-balancing formulas. 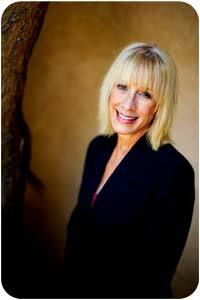 Linda is in demand by the media and she has appeared weekly on CBS television with a report on natural healing; she is a principle speaker at national health symposiums and conventions; she is featured regularly in national magazines and newspapers; she appears on hundreds of radio and television programs and she regularly contributes to WebMD and other health websites. She is considered the herbal authority on anti-aging, women’s health and beauty.